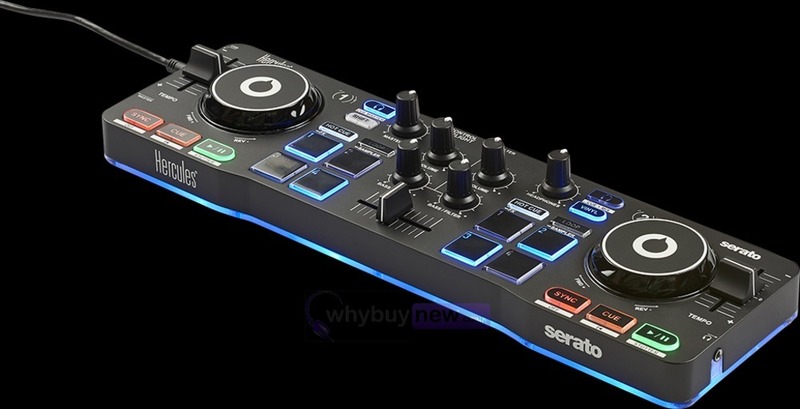 Introducing the DJControl Starlight from Hercules; a compact but comprehensive controller made for the beginner DJ. 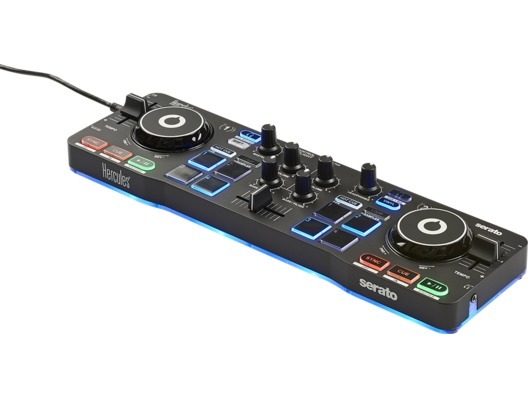 This excellent introductory controller is similar in size to the Hercules DJControl Compact (making it great for transporting from place to place) but covers more functions than its playful cousin, making it perfect for the more serious aspiring DJ. These functions include (but aren't limited to) additional faders and a button to activate scratch mode on the jog wheels for that authentic sound. The Hercules DJControl Starlight also has extra features that you won't find on a professional DJ controller too, such as the LED lights that correspond to the beat of the music and act as a guide so that you can learn to match beats at your own pace. 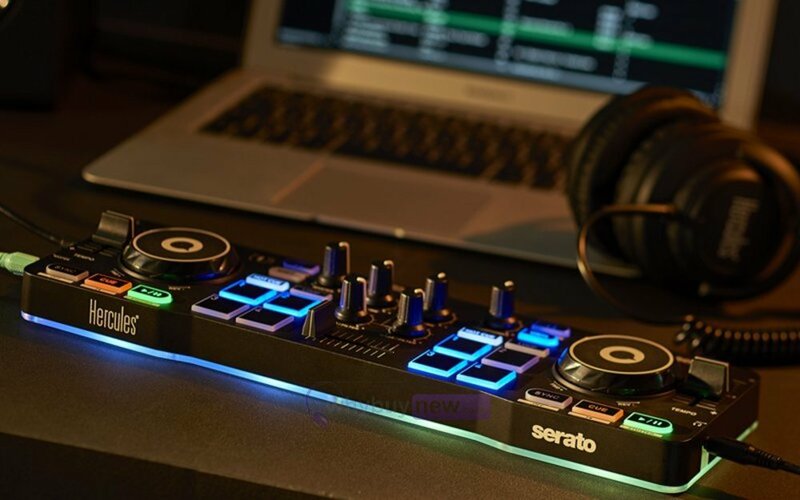 With so many functions packed into such a tiny controller the Hercules DJControl Starlight is a must-have item for anyone who wants to learn to DJ. Beat 1 Program: The LEDs light up in red at the first beat of the main song and in blue on the following beats, turning off between beats. Beat 2 Program: The LEDs light up in red at the first beat of the main song and in blue on the following beats, without turning off. Waveform Color Program: 2 LEDs per deck reproduce the colours of the waveform of the respective tracks. Cue point Color Program: 2 LEDs per deck light up progressively, according to the colour of the upcoming Point Cue.